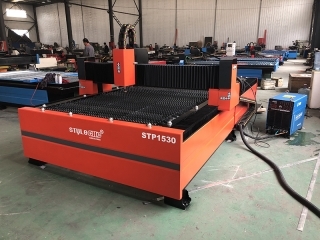 The new design CNC plasma table STP1530 is made for our USA customer, it is used for sheet metal cutting of aluminum and carbon steel, now the CNC plasma cutting table is ready for delivery to the United States. 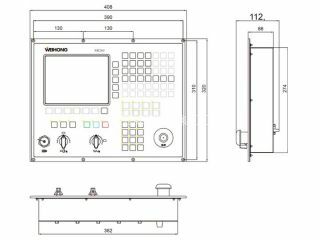 New design fiber laser engraver with full enclosed cover will keep the smoke in the enclosed protection case without emission to outside. 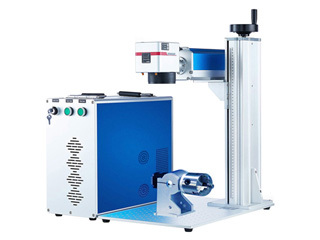 The fiber laser engraver has advantages of healthy, environmental and friendly. Affordable stone CNC machine STS1318 is designed for carving and cutting marble, granite, quartz and other stones. 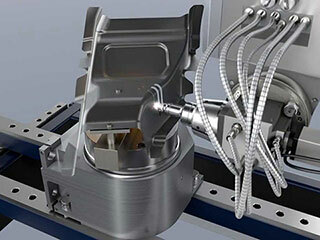 Now the best stone CNC machine for sale with low price. 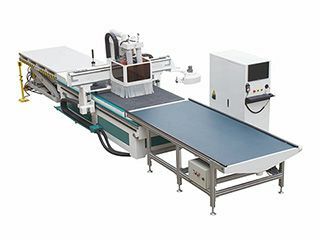 Nesting CNC Router Machine with Gang Drilling and 2 Spindles is mainly used for carving, engraving, milling, slotting, grooving, cutting, chamfer edge. 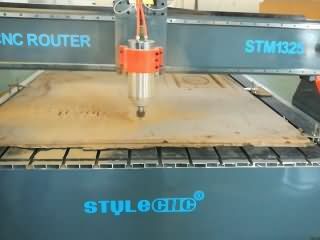 The nesting CNC router machine can finish the whole panel furniture production. 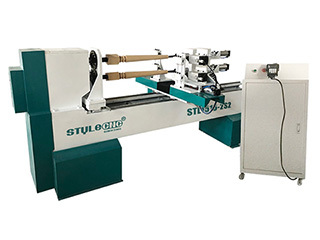 New design automatic CNC wood lathe machine is equipped with double axis for turning staircases, stairway balusters, stairway newel posts, table legs, chair legs, bed rails, baseball bats, etc. Now the wood lathe for sale with low price. 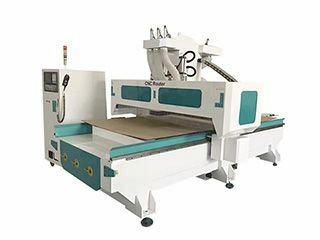 Manufacturer direct sale nesting CNC router machine with automatic loading and unloading system, reasonable price, low cost, best offer, perfect quality assurance and free Automatic nesting CNC router machine technical support. 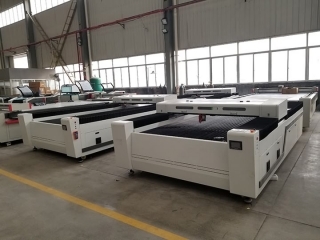 Two sets new deisgn metal and nonmetal laser cutting machine are finished and ready for delivery to our Bolivia customer. The laser cutting machine has high power laser tube for thin steel and thicker wood, MDF, plwood cutting. 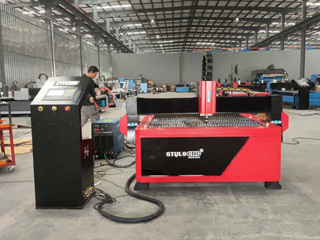 This CNC plasma cutter with 100A power supply is our new design machine shape, it's more stable, beautiful and suitable for most customer requirements. 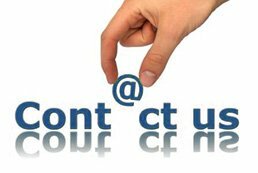 Welcome to inquiry us. 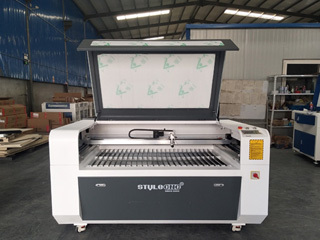 The New CNC router 1325 woodworking machinery is for our Bahrain customr, he uses it for carving and cutting wooden door, windows, cabinets, etc. 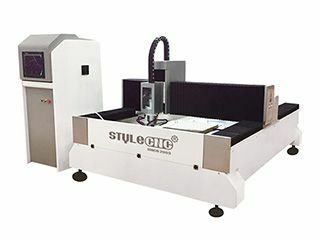 New design STJ1390 CNC laser engraving and cutting machine is applied for rubber, clothes, wood, acrylic, MDF, Now it is delivered to Pakistan. 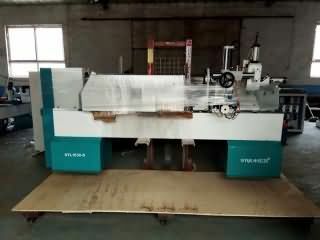 Romania CNC wood lathe STL1530-S with single axis, double blade for wood turning, the spindle has installed gymbal for wood grooving, carving and hollowing. The new laser cutting machine technology frequently used to make medical tubes and components is laser cutting machine with gas assist, new laser cutting technologies are now coming on the market. 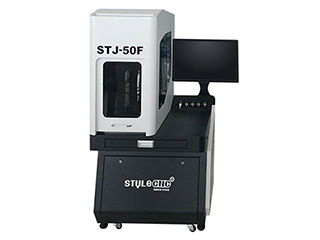 When you use the laser engraving machine software, you often encounter problems, STYLECNC will help you to Analyze and solve the normal problems. 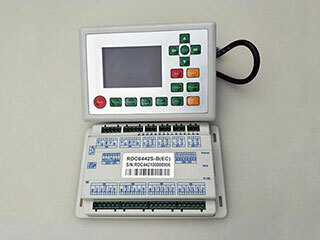 In order to solve the language problem in the use of NcStudio, Jinan Style Machinery provide the most complete Chinese-English user manual for NcStudio.